Choice of butterfly or rubber clutch included. Other attachments available. Showcase your logo or mascot, and create memorable events in classic style. 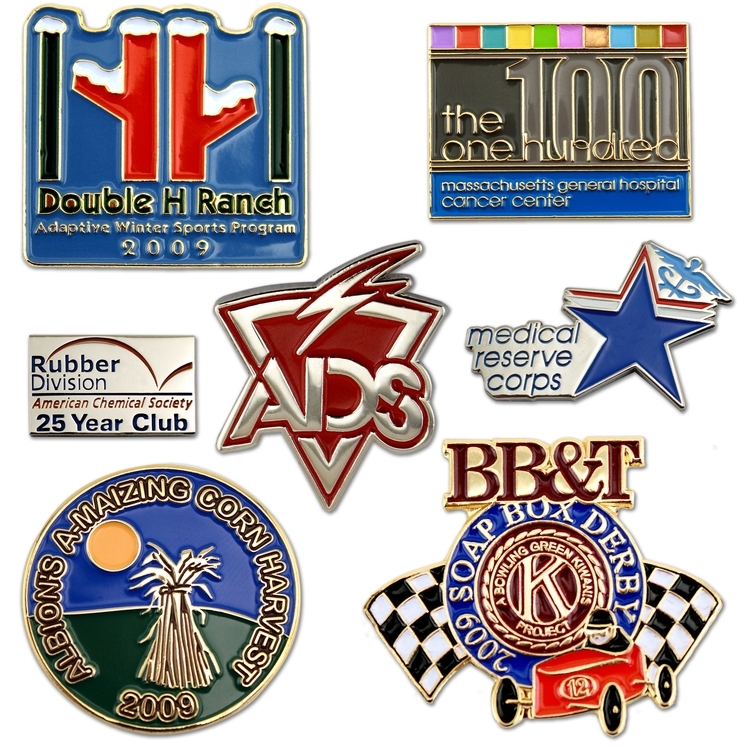 Die Struck Soft Enamel Lapel Pins are the most popular lapel pin process, and achieve a high perceived value at an economical price. * Tarnish-resistant brass base material, with choice of gold-tone, nickel, copper or black metal finish. Other also finishes available. * Includes up to four soft enamel colors (matte or gloss finish) with FREE PMS color match. * Choice of standard Butterfly or rubber clutch included. * Optional printed cards available for retail sale in company stores, gift shops or for achievement presentation. Gift boxes and other packaging options also available. * Set-up Charge on first pricing column only. Additional sizes available, call factory for pricing.